During a commercial break last Thursday night, I said to Grant "I think I'm going to write a blog about why I have to watch Grey's Anatomy after all these years." "Yeah, but then you'd have to admit that you still watch Grey's Anatomy." In March of 2005, Tiffany and I were sitting in our apartment in Denton. We had just finished watching another show, and immediately after it was over a new show called Grey's Anatomy began. We sat there in our first apartment, enthralled with the first Shonda Rhimes show any of us had ever seen. We loved it. It was our new favorite show. Fast forward to 2016. Life is a little different than it was in March 2005. I'm no longer dating Grant. I got engaged to him and then married to him and then we moved to Louisiana and then we moved to Houston and then we moved to Katy and we've had 2 kids AND THAT DANG SHOW IS STILL ON. I've thought about it, and I've watched Grey's Anatomy in 7 different homes that I've lived in over the last 11 years. The show has followed me everywhere. And can I be honest about something? It's gone on too long. Bailey: Still there. She's the Chief now! Cristina Yang: Gone. In Switzerland, I believe doing cardio miracles. I miss her every single episode. Chief Webber: Still there. Not the Chief anymore. George: Died - hit by a bus. Izzy: Gone. Married Denny, Denny died, she saw dead Denny because of a brain tumor, got cancer, married Karev, divorced Karev and left. Derek Shepherd: Dead and gone. Meredith Grey: Still there, has 3 kids, but has seen more near death experiences than any human should have to see in their lifetime. We will get to that later. So, in summary, of the original cast only FOUR of them are still on the show. Since then, about 900 characters have come and gone. 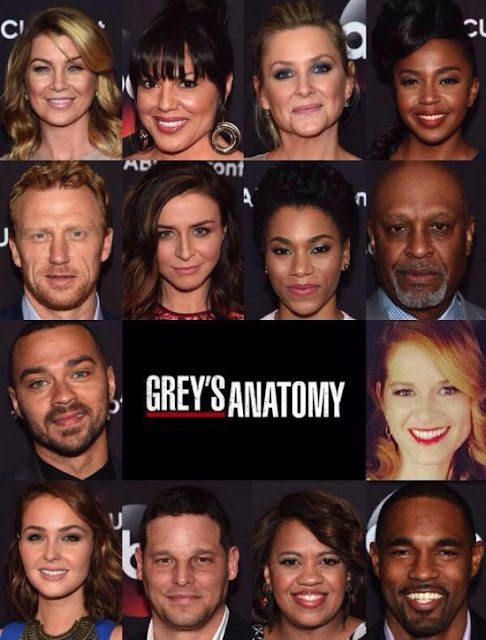 This is the cast that changes all the time. We've had a few add ons that have stayed for quite awhile - Callie Torres, Arizona Robbins, Owen Hunt, April, and Jackson to name a few. And those are just the ones I can remember. This brings me to the point of this blog - WHY AM I STILL WATCHING THIS? I've had plenty of opportunities to leave. 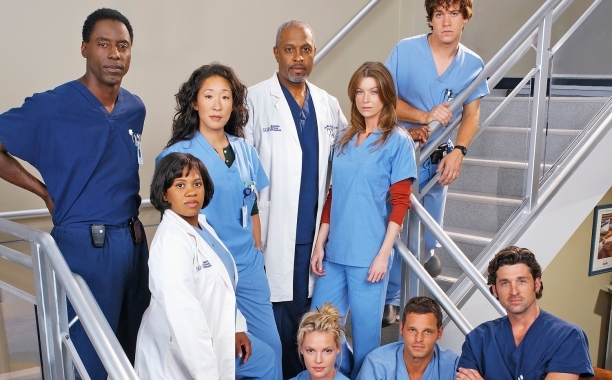 On the Grey's Anatomy highway, there have been plenty of exits. I could've left when Izzie started seeing Dead Denny in the halls of Seattle Grace. I could've left when Mark Sloan died BECAUSE I WAS SO ANGRY. I could've bailed after Derek died BECAUSE WHY. I could've left when Meredith had her 9th near death experience because this is getting redundant. I can't stop watching now. It's like bailing from a marathon at 25 miles. It's almost done, right? It has to be done at some point, right? It's not gonna be like Days of our Lives and I'm going to watch Meredith Grey move into an Assisted Living Community, right? I can't stop now. I've got to see it through to the end. I will endure. I'm in it for the long haul - but I just hope that comes quickly! While I was reading this, THE AMBULANCE EXPLODED on tonight's episode. And I thought, yep, could've left again. But I stayed. Hahah. Here's to 26.2. We've got this!